We often get questions about posting photos, so this thread is dedicated to explaining how to do it as well as giving some guidelines on netiquette involving photo posting. From the FAQ: "If you have uploaded an image as an attachment, you can click the arrow next to the 'Attachment Icon' and select it from the list. This will be inserted into your post and can be located where you want it displayed. To include an image that is not uploaded as an attachment and is located on another website, you can do so by copying the full URL to the image, (not the page on which the image is located), and either pressing the 'Insert Image' icon or by typing [img] before the URL and [/img] after it, ensuring that you do not have any spaces before or after the URL of the image. You can insert pictures from your albums in this way too." Can I post image URLs from any site that I want? No. Many webmasters do not want you to link to their photos unless you are posting the photos on their own site. Also, if your image URL is from another site, you are using their bandwidth to post your photo. This is known as hotlinking. You do not want to do this. If I can't post image URLs from other sites, how do I post a photo I find elsewhere? It's easy! Just join a free photo hosting service like imgur.com. Download the photo that you like onto your own computer, then upload it to imgur.com using their form (they also have a way to upload the photo directly from the image URL, without even saving it on your computer). Then, use the BBCode URL or image URL for the post. Alternatively, you can attach the photo to your post. Should I say which site the photos came from? Yes, if possible. 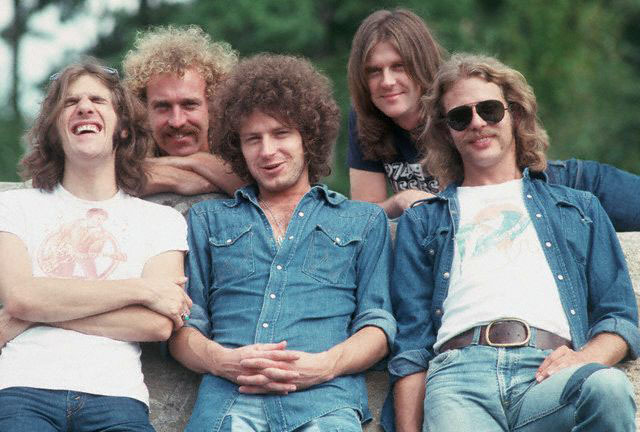 While many Eagles photos are very commonplace, some are exclusive to a certain site or are from someone's personal collection or professional portfolio. It is good form to credit the site if it is known. You can do this by posting a link to the site under the photo. If the photo is from one of the Eagles Online Central sites, however, it is not necessary to credit it here on The Border - that would be a bit redundant! What if I can't determine/don't remember where the photo originally came from? Don't sweat it. It's not a huge deal. It's just good manners to do it if you can. Just try to take note of such things for the future, maybe by saving all the photos you get from one place to a particular folder or something like that. What if I find the photo on one of the Eagles' kids social media accounts? Even though it's true that by posting their photos on social media they are making them public, I am not comfortable with the photos being posted here. It's just my personal preference, but I feel strongly about it. I will remove them if they are posted. This doesn't apply to any professional sites they make, however, since those are designed to be seen by the public. What if the photo is from one of the Eagles Online Central sites? Is there a limit on how many photos I can put in one post? While we don't have a limit and there are exceptions, it's usually a good idea to post no more than five images in one post. It can be hard for people with slow connections to load so many photos. Plus, we need time to relish them! However, this is just something to keep in mind, not a hard-and-fast rule. Are there any size limits on photos? There is no set size limit, but if you have a really large photo (more than 800x600 pixels) it's a good idea to shrink it because those can be really slow to load! A lot of image hosting sites will shrink it for you if you don't know how to do it using a Photo Editor like Photoshop. Again, this is just something to keep in mind - you won't get "in trouble" for posting big photos and I realize that sometimes it's too much of a bother to shrink them. When I'm commenting on a photo, should I quote it? Because photos take a while to load, avoid quoting the photo unless you need to in order to clarify which photo you are referring to with your comment. You only need to do that if several photos have been posted in the interim, or if the photo is on a prior page. Should I worry about whether or not the photo has been posted earlier in the thread? Nah, nobody cares about that. Folks around here love looking at the Golden Oldies as well as newer photos. It's all good! I hope that helps clear things up for everybody! Now let's get to posting photos of our favorite band and sharing the love with fellow fans. That's what it's all about, after all.